April 3, 2017 April 27, 2017 Kelli & JakeLeave a Comment on Should You Limit Your Consumption Of Alcohol When Trying To Lose Weight? Should You Limit Your Consumption Of Alcohol When Trying To Lose Weight? Have you wondered how the consumption of alcohol effects losing weight? There are specific ways alcohol limits your body’s capabilities that hinder weight-loss and stop you from achieving your goals, IF you don’t understand how to limit your use. Learn how below. Kelli and Jake are online health coaches located in the Kansas City and Overland Park areas. They provide Herbalife products and nutrition coaching to help you reach your weight-loss goals. To begin your weight-loss program and personalized coaching services, fill out the form on the coaching page and Kelli or Jake will be in contact with you very soon! 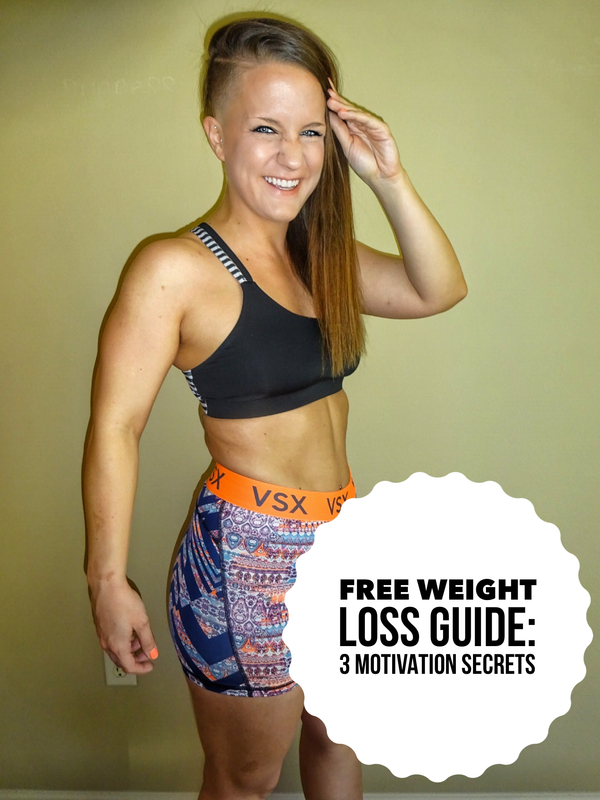 IF what you want to do is lose weight there is great news for you; It is very simple! The main problem we see with our clients if they want to lose weight is making it an entirely too complicated concept! At times it can be made so complicated that it may just make you quit entirely. If you have tried in the past a few times and failed each time and have just quit it is most likely you were making this too complicated and not focusing or understanding the basics. Scientific weight-loss boils down to one simple concept: caloric deficit. Basically if you focus on eating and ingesting fewer calories than the amount of calories required for your body to maintain your current body weight, you’re almost guaranteed to lose weight! For a more in-depth explanation of a caloric deficit read this article. Now the concept of caloric deficit does NOT mean all you focus on is counting and reducing calories. I talked in a previous post about the negative effects of only counting calories and having a diet of restriction and lack. The most effective way to practice controlled caloric deficit is focusing on eating nutritious foods and eating smaller portion sizes of your unhealthy meals. For example, a basic and very simple way ANYONE can practice a caloric deficit is having two meal replacement shakes each day along with one regular meal at night consisting of lean protein, a complex carbohydrate and vegetables on the side. Add in 2-3 healthy snacks in between each meal and you will already be right on track to losing weight through a caloric deficit. Now you may be asking, what does this have to do with the effects of alcohol consumption on weight-loss? Drinking Alcohol While Losing Weight – What Are The Implications? How popular is alcohol in society today? Well I’m sure you have either seen or heard a reference or advertisement to alcohol OR been in the presence of a drink every day of your adult life. We will leave it at that. Now I am NOT getting into at all a moral brigade on alcohol one bit because that is not the point at all of this post. I am just merely helping you notice the prevalence alcohol may have in your life. The only point being that if it is always around you or available there may be struggles at times to resist the temptation or say no to friends that just want to have a great time out after work or on the weekends. However, if you are trying to lose weight it can be very difficult to reach your goals AND continue to practice the same habits surrounding alcohol. We talked about caloric deficit at the top of this post that parlayed right into this point. Alcohol contains roughly 6-7 calories per gram (fat contains 9 calories per gram. If you aren’t careful in limiting your consumption a drink or two you may completely over step your caloric goals for the day. Even worse is alcohol doesn’t help you feel full (empty calories) meaning it will only add onto the number of calories from your other meals. As health coaches we always preach the importance of metabolic rate to our clients and how burning calories is your bodies most effective tool to a caloric deficit. Drinking alcohol messes with your metabolism because it has to focus on burning off the alcohol when normally it works to burn fat for energy use. So because your fat is not being burned it builds up and causes blockage and slows your metabolic rate which negatively impacts weight-loss. Have you ever gotten home from a night of drinking and eaten 300 or more calories of food at 2 am? If you have this is another way alcohol hurts your ability to lose weight. Your reasoning factors become lowered and you are more likely to act off impulse and instinct (eating cheese fries and nachos to yourself). Add in the extra calories of meals you normally wouldn’t indulge in and your calorie number may be through the roof. Drinking alcohol severely impacts your caloric deficit making it harder to lose weight. Just these three aspects of drinking alcohol can hugely undermine your efforts to lose weight and if not limited can lead you to quitting before you see any major positive results. Let’s now go over and understand why alcohol can be so tough to ignore and limit the use of. If you can better realize this, you can help relieve yourself of the negative effects of alcohol and reach your health goals much more effectively..
Why Is Limiting The Use Of Alcohol Hard? If you are serious about losing weight in a healthy way you must learn how to limit your use of alcohol. But what makes this such a tough subject? Well first there are the physical implications of drinking that we all know exist and won’t even touch on here because I believe, in my opinion, it is only a small reason people choose to drink. The main concept I want to go over here is the social aspects of alcohol and how much pressure they can put on some people continue to drink no matter the circumstances. Rarely do people drink alone. Most of the time spent consuming alcohol is at parties, bars or in clubs. Social gatherings and events seem to be the most prevalent places that alcohol is consumed. This social pressure can be the toughest roadblock to get through when choosing to limit the use because so many of us (if not all) are continually looking to be accepted by everyone and looked at as normal and like everyone else. This innate human trait is what makes it so tough to say NO to drinking and keep you on track towards your goals. Just to be clear, I am NOT saying that you should never drink alcohol or have fun with your friends and social acquaintances. That is far from my point. Meet some new friends, join a new social group or get involved in other activities that interest you. Much of the pressure to drink alcohol in excess may come from your present friend group who continues to do the same things. Comfortability can at times be a big detriment to growth. Finding other hobbies or activities to spend your time in may open your eyes to new possibilities, meeting new friends and new experiences. Get a personal health coach to help you stay on track and keep consistent towards your weight-loss goals. A coach can be someone in any area of life who has achieved the results you want therefore making them the perfect person to have teach you and guide you through all the necessary steps to get you to where you want to be. As coaches, we provide personalized meal plans, fun group and online challenges and 24/7 online support. Contact us on our coaching page to learn more. Begin a side business or extra service part-time that requires a couple of hours of work or contribution each day. There are two benefits to this: you are able to create extra income for yourself and family by working on something you are interested in or talented at and also able to distance yourself more from drinking in excess. The more time you are occupied by activities that interest you, the less time you are spent drinking extra calories that will be a detriment to your goals. Volunteer your time at your church or local retirement community. Time spent in offering help to others and in service of your community has lots of benefits. In general you can feel much better about yourself which helps grow your self-esteem. These tips should get you on the right track and help you avoid the major pitfalls of drinking alcohol in excess. Limiting use is always the key to maintaining a healthy balance and keeping true to your weight-loss goals. If this provided value please share on Facebook or with friends and family that this could help!